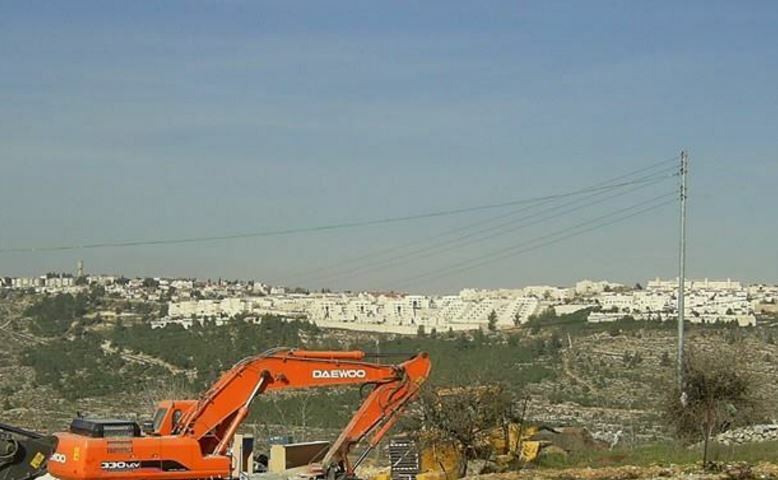 The deadline appointed by an Israeli court on March 09 to evacuate two homes of Totah and Totanji families in al-Suwanneh neighborhood in Occupied Jerusalem for the construction of a national park expired on Saturday. Talking to the PIC reporter, Aref al-Totanji refuted the Israeli authorities' claim that the land is owned by Israelis, affirming that he possesses documents that prove his ownership of the land of the home to be razed. The house’s area is estimated at 80 square meters and shelters 16 individuals including children, he pointed out. Totanji set up a sit-in tent in the yard of his house in order to resist the evacuation process, and said he would stay at the house in case of demolition. He called on concerned institutions and authorities to support him along with Totah family in their issue which has been tabled with and deliberated at Israeli courts for the past three years. 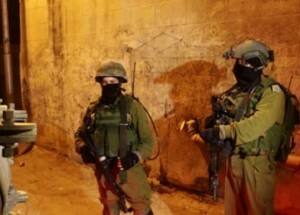 Dozens of Israeli soldiers invaded, on Saturday at dawn, the Qalandia refugee camp, north of occupied Jerusalem, searched many homes and kidnapped a young man. The soldiers also released a woman who was also kidnapped at dawn. The soldiers searched many homes in the camp, kidnapped a young man, identified as Husam Nafez al-Ashhab, and took him to an interrogation center in Jerusalem. The soldiers violently searched the family home, causing damage and interrogated several Palestinians. In addition, the army released an elderly woman, identified as Zeinat Husam Oweida, 63, after kidnapping her at dawn, and interrogating her for four hours in an interrogation facility in Jerusalem. She said that she was ordered to go to the District Court at seven in the evening, and that she will also also have to head to the al-Maskobiyya detention and interrogation center, on Sunday at eleven before noon. Oweida was taken prisoner from her home in the al-‘Eesawiyya town, in the center of Jerusalem, after the soldiers violently searched the property, and confiscated pictures and a sum of cash. She was previously repeatedly detained for protesting against the provocative tours carried out by Israeli extremists, and the police, into the courtyards of the Al-Aqsa Mosque in Jerusalem. Multiple demolitions in the occupied West Bank left 124 Palestinians homeless in a single day, 60 of them children, the United Nations Office for the Coordination of Humanitarian Affairs (UNOCHA) said in a statement Friday. The Israeli occupation forces (IOF) on Friday kidnapped six Palestinians and destroyed sit-in tents in Occupied Jerusalem. The abduction was carried out as dozens of Muslim worshipers performed Friday’s noon prayers in Ein al-Louza, to the south of the holy al-Aqsa Mosque, in protest at an Israeli decision to demolish 50 Palestinian homes in favor of Israeli parks. A PIC journalist said the IOF rolled into the area before noon time and kidnapped six Palestinian youths shortly before they confiscated a sit-in tent. A series of protest moves is to be staged by Palestinian locals in response to Israel’s schemes of forced displacement and ethnic cleansing in favor of Israeli settlement expansion. 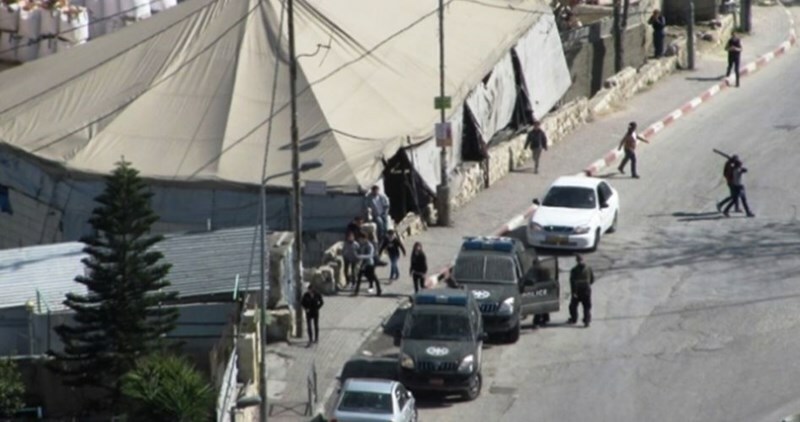 Eyewitnesses said heavily-armed Israeli troops showed up at the scene and ruined the tent before they confiscated a vehicle. Activist Maysaa Abu Ghazala also said the occupation police arrested the head of the Wadi Hilweh Information Center, Jawad Seyam, and dragged him to the Salah Al-Deen detention center, in Occupied Jerusalem. Last Friday the IOF quelled a sit-in staged by Palestinian worshipers in Ein al-Louza and Batn al-Hawa neighborhoods, in Silwan, and attacked the protesters with randomly-shot spates of teargas canisters. UN's head of humanitarian affairs for the Palestinian territories expresses concern over demolition and confiscations of 540 structures in the territories so far this year; Israel says structures were illegally built. A UN envoy urged the European Union on Friday to raise political pressure on Israel over accelerating demolitions of Palestinians home in the West Bank, which he said run against international law and increasingly affect aid projects sponsored by the bloc. 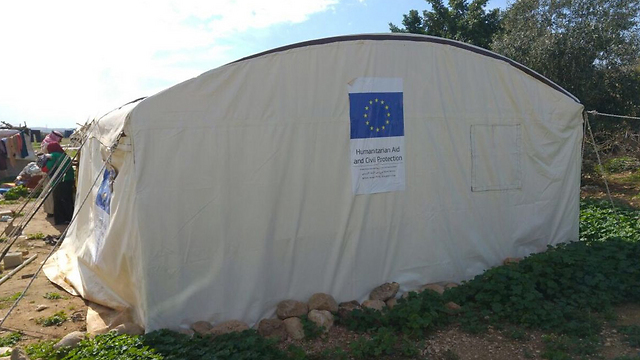 Robert Piper, a United Nations assistant secretary general and the head of humanitarian affairs for the Palestinian territories, briefed EU officials in Brussels on that, noting there have been over 540 demolitions and confiscations so far this year. "We have entered a new and fairly disturbing phase in terms of the confrontation between international humanitarian law and the Israeli occupation of the West Bank," Piper told Reuters. The IDF, which captured the West Bank in the 1967 Six-Day War, says it carries out the demolitions because the structures are illegal: they were either built without a permit, in a closed military area or firing zone, or violate other planning and zoning restrictions. "The pace of demolitions has exceeded any previous records and we are only in the fourth month of the year. We are very worried about what the rest of the year holds," Piper said. Piper said around 140 aid projects by donors were destroyed, including more than 200,000 euros worth of EU investments, while some 600 people had lost their homes and about 2,000 their livelihoods. In doing so, he said, Israel was forcing Palestinians away from some parts of the West Bank as more Israeli settlements appeared there, even though building them on the disputed land was against the law. "The EU needs to reflect on its strategy and how it's going to respond ... This can't be left unaddressed. It's a provocation," Piper said. Piper challenged the IDF's justification for the demolitions, saying Israel did not give the Palestinians living there a real chance to obtain building permits. Piper said that, while there was much diplomacy going on behind closed doors, there was a need for more public statements on the matter, adding that the EU could also deploy diplomats to the sites affected to send a political message to Israel. "We also need to talk about forms of seeking financial compensation or restitution by the occupying power," he said. The 28-nation EU approved in March its first aid package for the Palestinian Authority in 2016, earmarking 252.5 million euros ($287.62 million) to help Palestinian refugees and develop health and education services, among others. The government will be holding its weekly cabinet meeting this Sunday, and is set to approve a comprehensive plan that would funnel nearly 45 million to the illegal colonies, built in direct violation of International Law and the Fourth Geneva Conventions, in different parts of the occupied West Bank, including occupied Jerusalem. Formulated by the office of Netanyahu, the plan includes 15 Million Shekels from the Finance Ministry, 5 million from the Tourism Ministry, and 6 million from the Welfare Ministry. Commenting on the latest decision, head of the Meretz leftist party Zahava Gal-On said the plan has nothing to do with “aiding bereaved families” as Netanyahu claims, and is merely a plan to funnel funds to construction contractors, who are acting in direction coordination with the Jewish Home Party, its leader Naftali Bennett and Agriculture Minister Uri Ariel (Jewish Home Party). 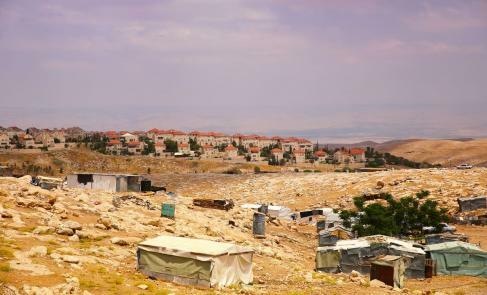 Lance Bartholomeusz, Director of UNRWA Operations in the West Bank condemned Israel’s latest round of large scale demolitions of homes in the Palestinian Bedouin refugee community Um al-Khair in the occupied Palestinian West Bank. 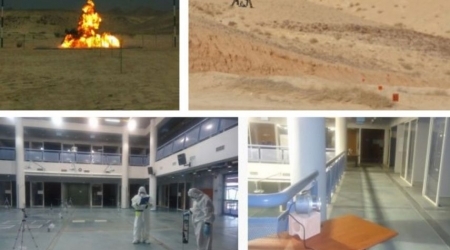 Israel uses parts of the Negev desert for testing weapons with nuclear material and to dispose of nuclear waste from its not-IAEA monitored Dimona nuclear facility. The director of the United Nations Relief and Work Agency (UNRWA) for Palestine’s Israeli-occupied West Bank issued a press release, stressing that the UNRWA condemns the latest round of demolitions of Bedouin’s homes in Um al-Khair, in the South Hebron Hills. “I am appalled. Looking in the eyes of a young Bedouin boy in a red shirt standing amongst the crumpled ruins of his demolished home, how can anyone justify this? Some 700 Palestinians have been affected by home demolitions since January 2016, a number that approaches the total of affected people in 2015. Bartholomeusz added that the UNRWA is gravely concerned about demolitions in violation of international law. The Fourth Geneva Convention prohibits the destruction of private property and obliges Israel, as occupying power to administer the occupied territory for the welfare of the protected Palestinian population. The UNRWA already urged the international community in 2014 to stand against the forced transfer of Palestinian Bedouins. In 2015 the Israeli parliament (Knesst) adopted a bill that threatens 40,000 Palestinian Bedouins from the Negev desert with being displaced. The targeting of Bedouin communities happens within two primary contexts. For one, Israel’s continued, de facto annexation of Palestinian territories and settlement expansion. For the other, the use of Bedouin land, especially in the Negev, for military exercises and in part to place nuclear waste from Israel’s non-IAEA monitored nuclear facility in Dimona. Reports from June 2015 strongly suggest that Israel tested bombs with nuclear material in the Negev desert. Within this context it is particularly noteworthy that the high cancer rates among Palestinian prisoners may be attributed to nuclear toxic waste which Israel buries near several prisons in the Negev desert. A group of Israeli settlers, escorted by Israeli forces, leveled Palestinian agricultural lands on Thursday, near the village of Deir Ghassana, in the central occupied West Bank district of Ramallah. 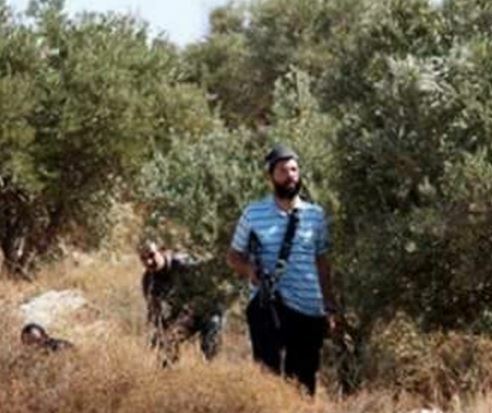 Local sources said that Israeli settlers uprooted trees and leveled lands, using heavy vehicles. A spokesperson for Israel’s Coordination of Government Activities in the Territories (COGAT) could not be reached for comment. Deir Ghassana, in the town of Bani Zeid, is located near the illegal Israeli settlement of Bet Aryeh-Ofarim. According to the Applied Research Institute – Jerusalem (ARIJ), thousands of dunams of land have been lost, over the years, in Bani Zeid, through Israeli land confiscations for the construction of Israeli settlements, Israeli bypass roads, the Israeli separation wall, and to isolate agricultural land. Attacks by Israeli settlers’ living near Bani Zeid have historically attempted to intimidate Palestinians from accessing and returning to their agricultural lands, which are located in close proximity to the settlements. 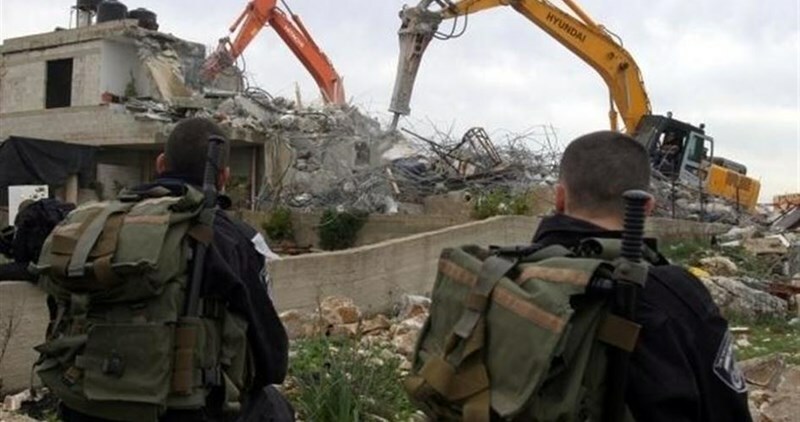 Israeli Occupation Forces (IOF) razed on Thursday Palestinian homes and facilities in each of Ramallah, Nablus, al-Khalil and Occupied Jerusalem for the pretext of lacking construction permits. In Ramallah, Israeli forces demolished a garage for car repair as well as a slaughterhouse that offers incomes for 100 families in Ni'lin town. Nader al-Khawaja, mayor of Ni'lin municipality, told Quds Press that the losses were estimated at $270,000. 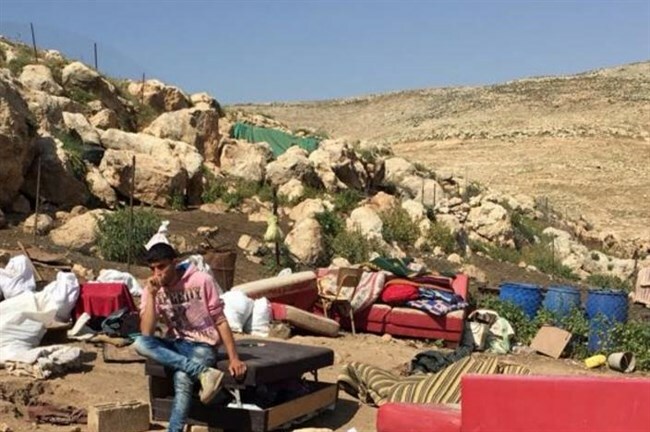 Abu Emad al-Jahalein, the spokesman of the Bedouin complexes in Occupied Jerusalem, revealed that Israeli forces knocked down 4 homes, inhabited by 27 Palestinians, in Beer al-Maskoub complex and demolished a house under construction, a mobile house, and a well in al-Samoa town in al-Khalil. In Nablus, the IOF razed agricultural facilities in Tana hamlet to the east of the city for the fourth time in a row and confiscated a vehicle and a water container. The Israeli Occupation Forces (IOF) demolished at dawn Thursday a number of Palestinian-owned agricultural facilities in Tana town east of the northern West Bank city of Nablus. The local activist Munathel Hanini told the PIC reporter that Israeli forces stormed the area since early morning hours accompanied by a number of bulldozers before starting the demolition process. A state of tension has spread among locals in the town which is regularly targeted by Israeli forces, Hanini added. 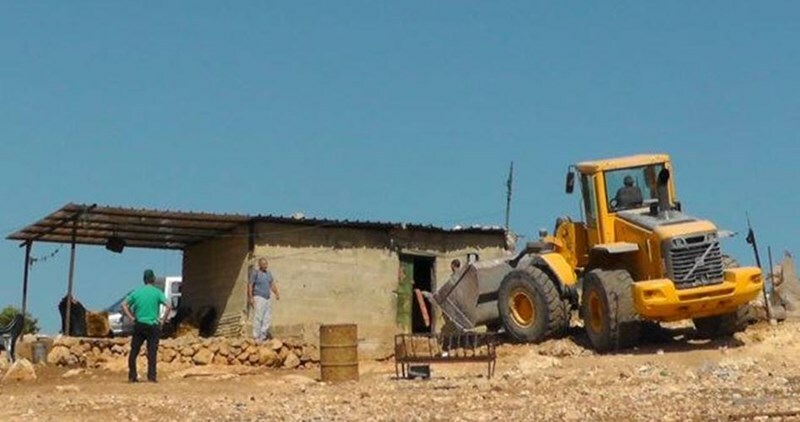 This is the fourth time since the beginning of the year when IOF soldiers demolish agricultural facilities and homes in the town, Hanini pointed out. A vehicle and a water tanker were also confiscated during the raid. 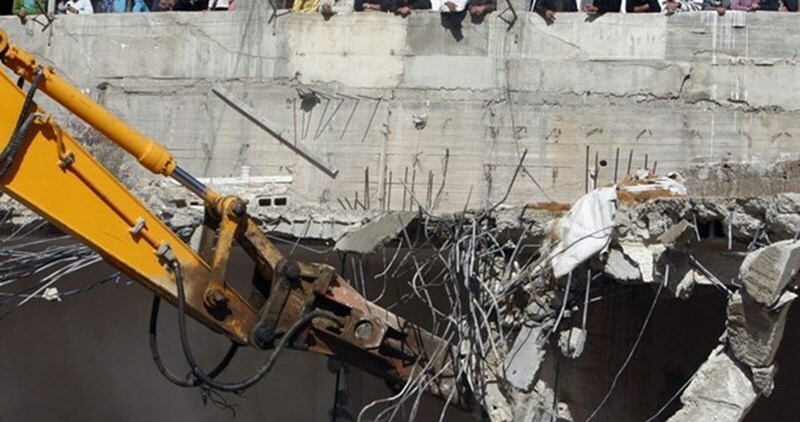 A Palestinian woman was forced to demolish parts of her own home in the occupied Jerusalem neighborhood of Beit Hanina on Wednesday to avoid paying the Jerusalem municipality's heavy demolition costs. Israeli Municipality has ordered few months ago the demolition of an extension that was built onto a home in Beit Hanina neighborhood on the grounds it did not have the necessary construction permits. The Quds Press quoted Shireen al-Sidawi, the owner of the apartment, as saying that Israeli municipal crews arrived on Wednesday morning to carry out the demolition order before she stopped them and started the demolition process by herself in order to avoid the municipality's demolition costs. Al-Sidawi pointed out that the municipality crews refused to leave until the workers and bulldozer arrived. 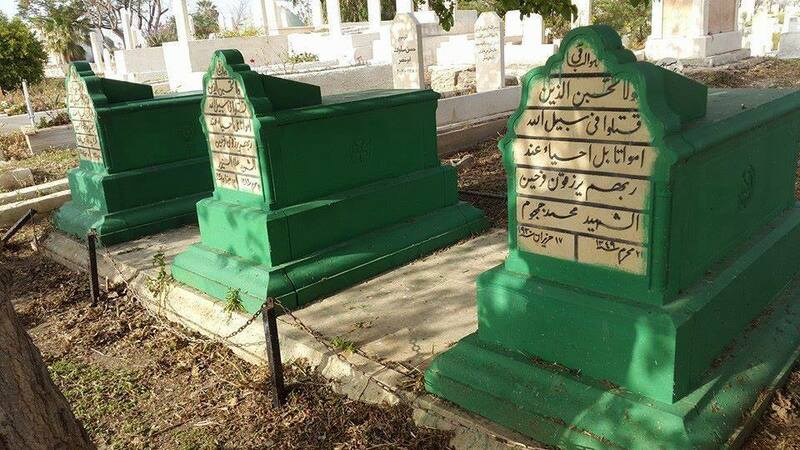 Al-Sidawi affirmed that her house was established before 1967. But she has recently added two rooms to it, one built from wood, the other of aluminum. Palestinian families in occupied East Jerusalem regularly tear down their own homes to avoid paying the Jerusalem municipality's demolition bills. 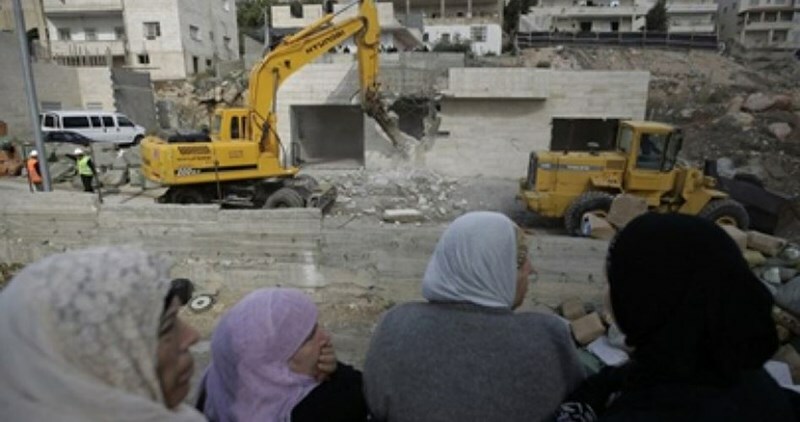 During March, four Jerusalemite families were forced to demolish their homes in Silwan town by themselves while another family was forced to demolish their home in Beit Hanina. Since the beginning of 2016, Israel has demolished dozens of homes in the occupied Palestinian territories on an unprecedented scale under flimsy pretexts including house demolition for alleged "military need," demolition of houses built without permits, and the demolition of houses as punishment. They all have one result - tens of thousands of people, most of them children, made homeless. People of Qabatya town to the south of Jenin city decided to reconstruct the three homes demolished by Israeli occupation forces two days ago on their own expense and refused to organize donation campaigns for this regard. Local sources told the PIC reporter on Wednesday that two committees have been formed in the wake of razing the three houses. The first committee was formed by the people of the town headed by Mahmoud Kmail and the second was established by the mayor of Jenin Ibrahim Ramadan. 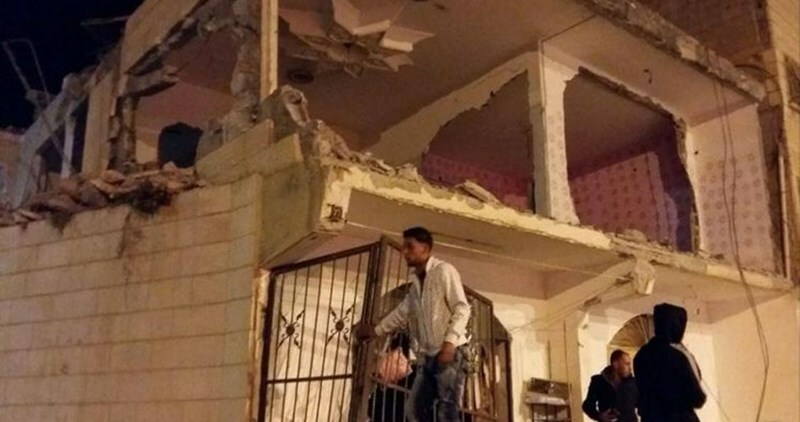 The sources pointed out that the people of Qabatya asked the mayor of Jenin to cancel the second committee because they refuse to collect donations for reconstructing the three razed homes. The people of the town took the same position and they refused to accept donations when Qabatya was besieged by Israeli forces in the wake of the anti-occupation operation carried out in Occupied Jerusalem by three of its inhabitants. Israeli police and the Jerusalem municipality on Tuesday destroyed a garden that had been erected in Occupied Jerusalem in memory of 47 Palestinian anti-occupation activists killed in the recent wave of Israeli terror, since early October. Each anti-occupation activist had an olive tree planted in his or her memory and a picture hung next to their tree, with accompanying graffiti of praise on a nearby wall. The whole neighborhood was invited three weeks ago to the ceremony of launching the little memorial park for the slain youths who devoted the last days of their lives to anti-occupation activities. The police and the municipality carried out the demolition on allegations that the park had been created in a public area without a permit. Internal Security Minister Gilad Erdan congratulated the demolition carried out by police in Ras al-Amud, saying police will continue to act with determination against every expression of support for resistance against the Israeli occupation. Israeli cops removed the plants, pictures, and graffiti and launched an investigation to find the persons responsible for establishing the park. The Israeli Occupation Forces (IOF) demolished Wednesday morning a number of Palestinian homes and facilities in Yatta town in the southern West Bank province of al-Khalil. Local activist Rateb Rajoub told a PIC reporter that Israeli forces stormed Umm al-Khair hamlet near Yatta since the early morning hours and started demolishing six Palestinian homes and facilities without prior notice. The houses’ owners were not even allowed to evacuate their furniture, the sources pointed out. Umm al-Khair is subjected to an Israeli systematic demolition policy as several other facilities are also threatened with demolition. Since the beginning of 2016, Israel has demolished dozens of homes in the occupied Palestinian territories on an unprecedented scale under flimsy pretexts including house demolition for alleged "military need," demolition of houses built without permits, and the demolition of houses as punishment.